Valerie Chittick has been our Choir Director since September, 2017. Valerie grew up at Spanaway UMC and she has assisted in Vacation Bible School for several years. Valerie is a music teacher at a local elementary school and she brings great vision for the children here at SUMC as well as the adult choir. 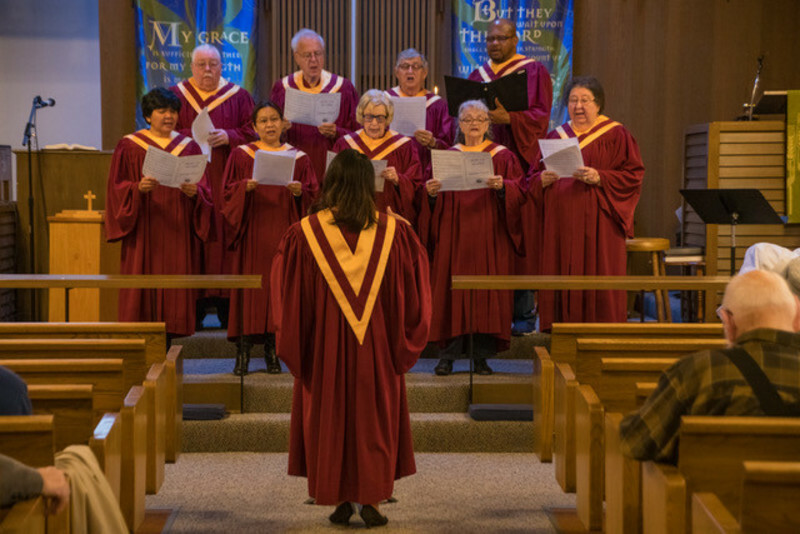 The choir sings weekly during the Worship Service from September until May, providing the Anthem and leading the congregation during the singing. We also may provide Special Music for the Church Calendar (Advent, Easter, Special Services). We practice on Thursday's at 6:30 and Sunday mornings at 9:30. New members are always welcome.